Coach Angela Schans helps Christian authors get their books into the hands of readers through social media networking and marketing. Coach Angela Schans helps authors get their books into the hands of readers through social media network and marketing. 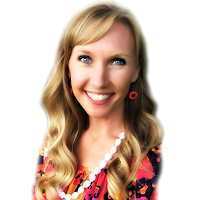 She specializes in working with authors with Christian content but can work with secular authors as long as their content is consistent with a Christian worldview. She works with clients on a consultative basis to craft their social media platform. Once a professional and search engine optimized social media platform is completed, she guides them through the multitude of ways to reach readers through social media networking and marketing on Twitter, Facebook Google + and Youtube. ; connecting with friends, niche groups, mega groups, influencers, and connecting accounts with other social media platforms, using scheduled automated sharing tools, posting themselves or hiring a social media professional to post for them. If her client chooses to post for themselves she coaches them on most effective post practices related to timing, formatting, and image creation or photo sharing. Through this whole process, she helps her clients share their books while saving them time and money. Coach Angela Schans has been working with social media platforms for over a decade mastering the art of generating targeted website traffic through the use of social media. She brings a wealth of experience to bear for her clients, but what really helps her clients isn't just that Angela has been in the online world, it's what she has done in the online world. First, Angela is one of the few people who understands how to use free social media tools and bring over a thousand daily targeted views to an author website. She started out bringing readers to her blog, and now helps many other authors, Angela knows all parts of social media networking and marketing well. Through Coach Angela Schans, she can make that experience work for you! Angela Schans Media, DBA, PO BOX 24 Montoursville, PA 17754 Phone: (570) 974-5364 | E-mail: an. Simple theme. Theme images by billnoll. Powered by Blogger.